Oman Systems welcomes Joshua Cason to our Support team. Joshua joined our company in August of 2013. Joshua brings years of technical support and troubleshooting experience to us. He was part of the Telecommunications Station in Yokosuka, Japan and was instrumental in keeping the systems online between the ships and his Com Station. He proved his role of IT Support Specialist on board the Carrier CVN 73 (USS George Washington), where he worked around the clock to keep the vital systems operational. He is responsible for training/installations/support for our ProEstimate Heavy product. He works with development to troubleshoot and test new versions of the software prior to its’ release. He plans and organizes all training classes for the ProEstimate Heavy software. He assists our customers with support of the other software products when needed. As part of the latest release of FMP, we have added the ability to track and report fuel used within the system. 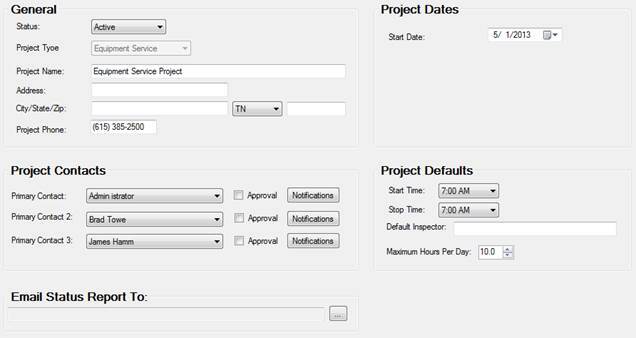 Using the fuel reporting option within FMP will allow users to track fuel used in each piece of equipment. Combining the fuel used with the hours worked, there are new reports within the system to calculate the gallons per hour for each piece and each class of equipment. The first step in setting up FMP to track fuel is to create an “Equipment Service Project.” This is an option on the new project set up window. 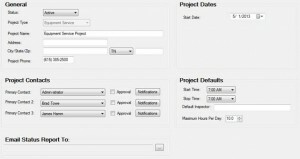 Once the project is set up, the system automatically imports the current equipment list into the project. Instead of reporting quantities for cost codes, the equipment service project allows the equipment service personnel to report gallons of fuel dispensed to each piece of equipment. Within the Office system, we have added new reports that allow you to view the “gallons per hour” for each piece of equipment as well as each class of equipment. A sample of this report is shown below. Do you have ideas for future tips for any of our products? Call us at (800) 541-0803, or write us at support@omanco.com. We want to know!